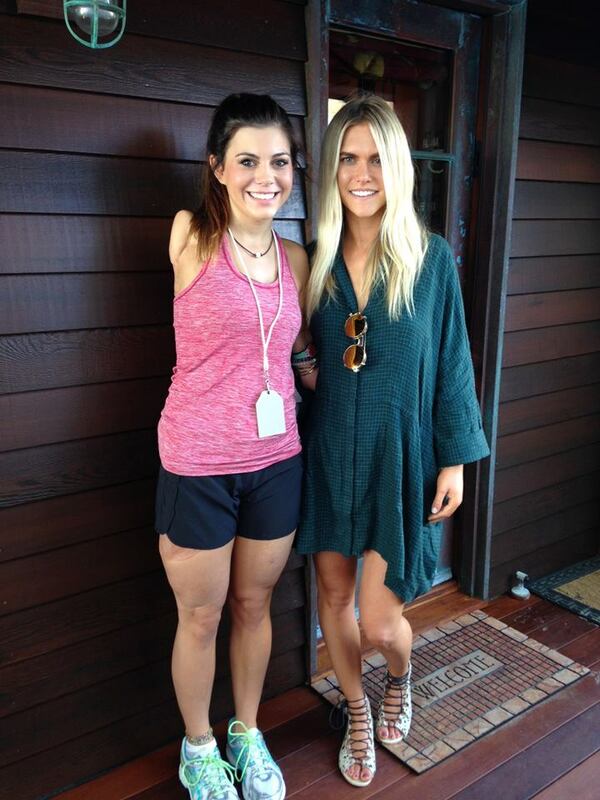 Lauren Scruggs Kennedy, the founder and editor of Lolo Magazine, is truly a beautiful person. And no, we're not just talking about how gorgeous she is. She recently started The Lauren Scruggs Kennedy Foundation with a mission to help provide prostheses to women in need, and, alongside Bethany Hamilton, she co-founded a yearly retreat for girls with missing limbs. We caught up with Lauren—who'll be speaking at #CreateCultivateDallas and also just happens to be a Dallas native—to talk about building philanthropy, her own story, and where to get Dallas's best almond latte. How did the idea for Lolo come about and how did you want to differentiate it from other fashion websites? Ever since I was little, I have been very artistic and was always so enthralled by beautiful editorials. To me, style has always been more than appearance; I see it as a reflection of personality as well as a depiction of how you view yourself. After interning for the Gossip Girl wardrobe department and the Michael Kors showroom in New York, I truly gained an understanding of what I enjoyed specifically in the fashion industry. To keep myself challenged and infused with creativity in Texas, I decided to start my own blog. It kept me very engaged, and for the first time I had an interest in dissecting fashion into words. At the same time, my good friend connected me with a woman in Dallas who had her own online fashion magazine, and she took me under her wing. She introduced me to the Fashion Week world, and I became enthralled with reporting on shows in NYC, Paris, and Montreal. After graduating college, I wanted to encompass my love for people, business, and creativity into one. That’s what led me to starting my own website. How did you meet the other Lauren of Lolo and how did you decide to work together? So it's kind of crazy, but I had just moved to California when a mutual friend introduced me and Lauren. We immediately connected over the phone, and she was running the mag for a year before we finally met in person! Can you tell us a little bit about your story that inspired some of the philanthropic work you do now? Almost four years ago, my life took a big shift. My calendar paused, my career path changed, and my platform increased after a night of injury, or what my subconscious defined as a 'depletion of beauty.' I was sucked into a plane propeller; the blade cut into my brain and the left side of my body, resulting in the loss of my left eye, left hand, and half my head of hair post-surgery. I have realized brokenness can be so beautiful even amidst the unexpected suffering. I feel like I relate so much more to pain now after experiencing it, and that has led me to want to give and pour specifically into young girls about the aspect of beauty. I have realized brokenness can be so beautiful even amidst the unexpected suffering. How did you meet Bethany Hamilton? She reached out to me shortly after my accident, and we connected instantly on Skype! It was one of those "friends for a lifetime" moments that happened initially. I am so grateful for her. She has the most precious heart! Her life, perspective, and ambition is such a picture of beautiful hope! Working with her has been such an amazing experience. We have learned so much, and it's such a joy to work together to encourage girls who have been through similar life-altering experiences. What has been one of your most memorable experiences from the retreat that you put on? Watching the girls surf is so moving. It represents something so much more than the action; I watched so much fear diminish as almost every girl entered into the circumstance thinking it would be impossible to accomplish. It was empowering to see the excitement pouring out of the girls, and watching them work together represented how much close community can change our lives. How did you decide to start your foundation? After my accident, I was in the rare situation of my insurance covering the entire cost of my prosthetic arms. I thought this was typical until I started meeting precious girls who either heavily disliked their fake-looking prosthesis, could not get one because of the high cost, or were unaware of where to go to receive a beautiful customized prosthesis. I developed a huge burden after hearing so many stories, especially after knowing the wholeness and healing my prosthetic arms brought me. Soon after, I partnered up with a wonderful mentor of mine and a dear friend who each had a similar story and an identical vision! After much research, we recognized that there was no organization that provided the beautiful coverings to the prostheses, and that is one of the most important parts for women! We want to bring hope, restore dignity, and ignite faith in young women with limb loss by providing beautiful prostheses. I am so excited to build relationships with these women and stand alongside them in their journey. I want to share the same comfort I received and still receive from others! I am still overwhelmed as I reflect on how people close and far encouraged and provided for our family in every imaginable way! What advice would you have for women who are looking to add a philanthropic element to their work? I believe it's so important to be involved in something you feel deeply passionate about. It causes you to fight harder for the cause and encourage giving so much more if it stands as a personal element in your life! Finally, what are your favorite spots in Dallas and where do you recommend people visit when they’re in town for C+C? R + D Kitchen is my second home...the food is insane and the service is beyond and has become like family. My other all-time-love is the almond milk latte from the T room at Forty Five Ten. Nothing compares! La Duni on McKinney Ave is so adorable and delicious for brunch too + you can walk around the cute shops after! Catch Lauren in Dallas speaking on our panel Style Vibes: How to define your personal brand, manage transparency and define your voice.